Turning Technologies released an update today for TurningPoint Cloud to support Microsoft Office 2016 Mac v15.25. Clients with this version of Microsoft Office were experiencing issues with TurningPoint’s PowerPoint Polling environment. This update resolves the previous issues to allow for a seamless experience with PowerPoint Polling. To download the latest version, open TurningPoint Cloud and sign in. Click the TurningPoint logo at the bottom of the dashboard. In the popup window, click Check For Updates and click Install Update. Please review full documentation for more information. 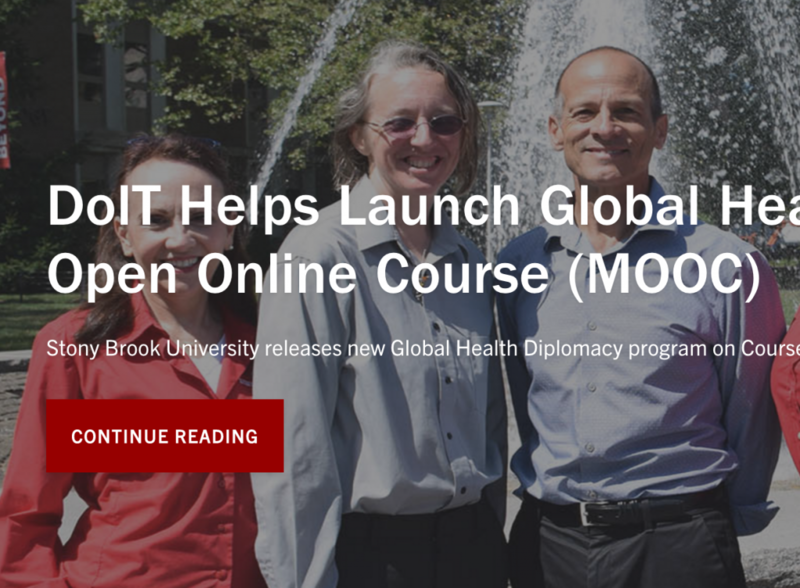 On August 8, 2016, Stony Brook University will launch its new Coursera program on Global Health Diplomacy. In this seven week course, students will be immersed in the diplomatic, financial and geopolitical context that underlies global health decision-making. Students are able to navigate their way through course articles and videos and test their knowledge through voluntary assessments. DoIT’s team of consultants from Academic Technology Services, the Faculty Center and Video Production, all played a crucial role in the development of this new course, spending countless hours and numerous weeks perfecting the program to enhance the student learning experience. Buh, bye B&N. Hello Amazon. One notable exception to purchasing through Amazon (for now) – you should get your student response clickers via your Turning Technologies account. This will get you a better price and the four year license. Login to this account inside Blackboard under Tools or go directly to https://account.turningtechnologies.com/account/. Be sure to use your SBU email address if you are setting up a new account. When you search for your books on Amazon, we’ve marked those required and recommended by your professors for specific courses. Your package will be safely waiting for you at our future location on campus. Prime Members get Free One-Day Pickup. Drop off your items at our future on-campus location.